On Tuesday I was craving strawberry shortcake in a crazy way. I’m not even sure what sparked my craving but it was sudden and strong. And amazingly, I happened to have all of the ingredients on hand. Isn’t it awesome when you turn your food craving into a tasty reality almost immediately? I got a little over excited and made 12 shortcakes. 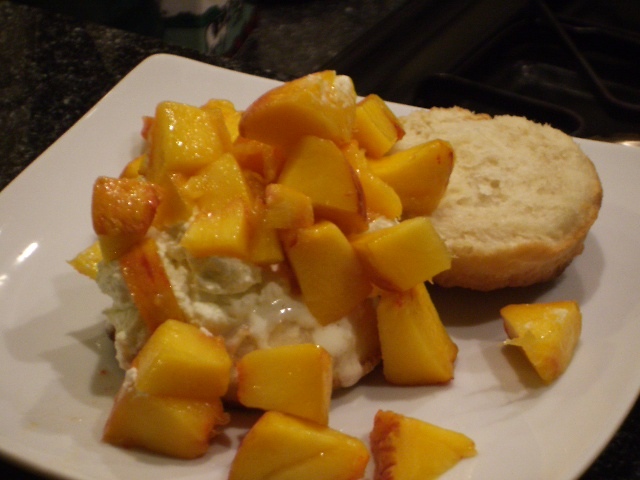 So on Wednesday we switched things up and had peach shortcakes. And then on Thursday my pants didn’t fit. Whoops. It was totally worth it. You’re making us so jealous! That looks AMAZING! 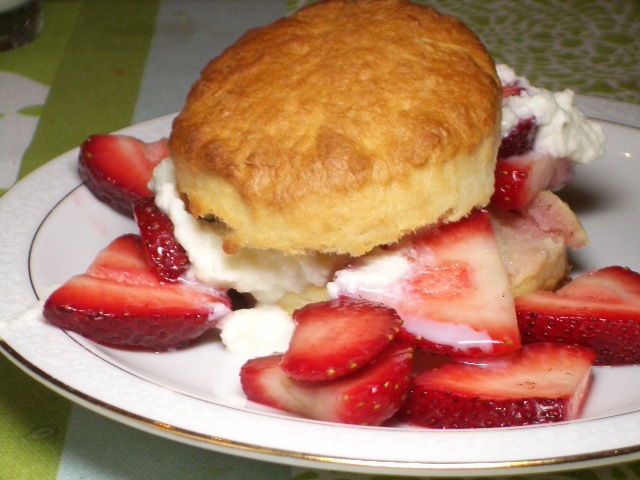 I’ve been known to make a batch of strawberry shortcake, and that’s all I’ll have for dinner!